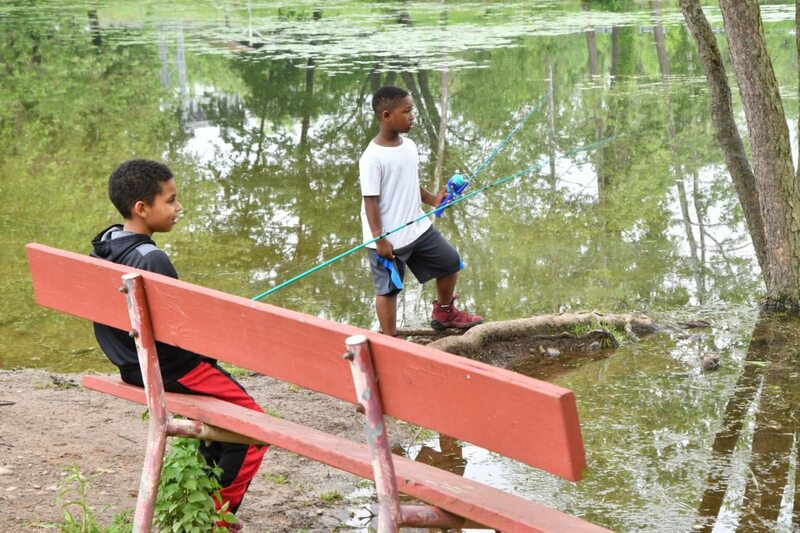 MARK NANCE/Sun-Gazette Darnell Mitchell, 9, left, and Marc Barnes, 7 enjoy fishing with their grandmother Regina Washington and family, of Williamsport, at Indian Park Sunday afternoon. Memorial Day activities shouldn’t be hampered by rain today but as the week moves on, moisture from a southern tropical storm is planned to hit the area by the weekend. 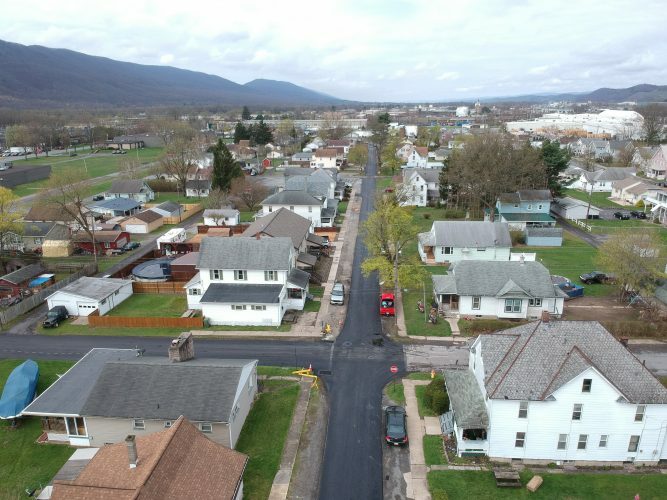 Today will be warm and dry and great for picnicking according to Paul Head, a meteorologist with the National Weather Service, with weather in the low 80s and high humidity. Warm, humid days are the average on Memorial Day, according to Head. The average high for the holiday is around 75 and the average low is 52. Humidity levels also are generally high during this time of the year when leaves are back on the trees and releasing moisture and oxygen, Head said. Tuesday temperatures look to be warming up to the mid 80s, with the sun showing more through the clouds than the day before. Rain looks like it will continue to hold off tomorrow, but National Weather Service maps state that tropical storm Alberto, moving in from the south, could start adding to the moisture in the area by Wednesday. “With the clouds coming in from Alberto from the south, there will be evaporational cooling and it should be quite pleasant,” Head said. Temperatures then will sink from the mid-80s on Tuesday to the low-70s, with possible rain showers near the end of Wednesday. By Thursday, the humidity and moisture throughout the week will crest into numerous showers and thunderstorms according to Head.